Can we cool our planet by cutting down trees? What if I told you that deforestation doesn’t have to be bad for our climate? Sounds counter-intuitive doesn’t it? Trees capture and store carbon when they grow resulting in less carbon dioxide in the atmosphere and less warming. Cutting them down has to be bad for our climate doesn’t it? Well, not necessarily. Forests grow in many places over the globe, from our biodiversity packed tropical forests near the equator to the snow covered boreal forests at high latitudes. Different processes unequally affect different forest types and in some cases this may mean cutting down forests can help cool our planet. To understand how this works, you’ll need a crash course in two processes that occur when the sun hits our forests – albedo and transpiration. 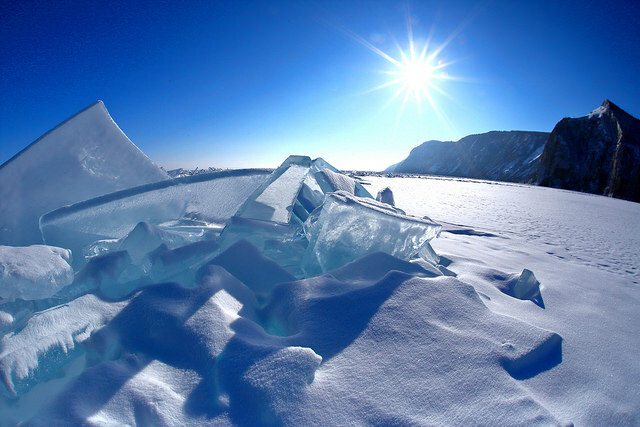 The albedo effect relates to the reflectivity of the earths surface. Basically, white surfaces reflect the sun’s radiation while dark surfaces absorb it. This is why it’s not a good idea to wear a black t-shirt on a scorching summers day (we’ve all been there) and why Australian’s favour white and not black cars. Another way our forests use the suns energy is for transpiration. When leaves transpire they release water vapour into the atmosphere, a process that has a cooling effect. Some trees are better at this process than others. In tropical forests, where trees have large leaves and it’s hot and humid, this cooling effect is huge. In our higher latitude forests however this process is far less influential. It is here where deforestation may actually have an overall cooling effect. Imagine you’re in a coniferous forest – think extremely high latitudes like northern Canada and Siberia. 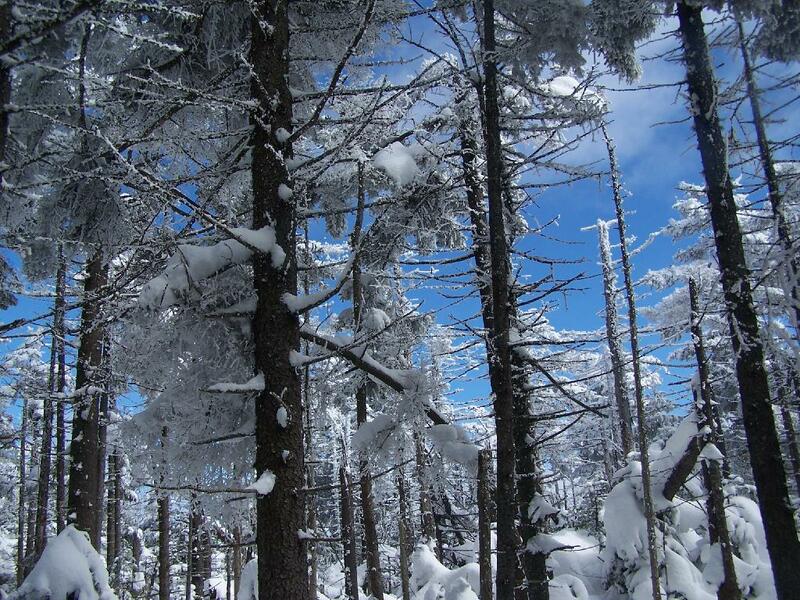 You’re cold, everything is covered in snow and you’re surrounded by towering pine trees that pierce the snow cover and reach proudly toward the sky. From above you would see a mixture of dark greens and bright whites, a truly magnificent sight. Now raze that forest to the ground. You are now standing, still cold, in a huge clearing covered only by snow. It’s an unbroken white landscape for as far as the eye can see. The differences in landscape is stark, as is the effect on the climate. While conifers certainly transpire, they do so at to a far lesser extent than many other trees because of their small leaves and the cold climate. While this process has a cooling effect it is only slight. There is, however, a large differential in albedo between the two landscapes. The coniferous forest with its dark green canopy absorbs much more heat (has a lower albedo) than the barren, snow covered landscape which reflects almost all the sunlight. The increased albedo would cool the atmosphere much more effectively than the transpiring forest. In this situation deforestation could result in short term cooling. Before you grab your axe and start heading north there are a few more points to consider. The comparison between the two processes does not tell us anything about the amount of carbon stored in these forests. In the long term, it may be the case that ridding the planet of these forests would be a terrible mistake. We also haven’t taken into account that forests are important for reasons unrelated to climate, like being a home for animals. So while we may be able to produce a small short term cooling effect, I’d suggest that it’s probably not worth the effort. Love it. Engaging, witty and insightful. Looking forward to more posts from you and curious as to whether this topic will be come more prominent in the discussion on climate change in the future. Hey Jack, thanks for the comment. My understanding is that areas with high amounts of transpiration (such as tropical forests) do indeed create greater cloud cover. The albedo effect of clouds is an interesting one. On one hand they can reflect sunlight before it can hit the earths surface, on the other they also absorb heat that has been reflected off land and is on it’s way out of the atmosphere. So there’s a bit of a trade-off there as to when they have a cooling effect and when contribute to warming. Hey Richard. Thanks for your comments. They are great points you raise. Most of the information for this post came from an article called “Forests and Climate Change: Forcings, Feedbacks, and the Climate Benefits of Forests” by Gordon B. Bonan. It was an assigned reading for one of my classes this semester and I was quite surprised with the findings. Have a read of the “Boreal Forests” section. Shading isn’t really mentioned so not sure on that one! Interesting read. I was hooked by the immediate disassociation with my knowledge of deforestation and global warming. You explained the concepts well and wrapped it up with a great conclusion. Ooo – this makes me VERY nervous. One thought is that, where you have trees and snow, the snow is only there for a proportion of the year (i..e Winter) so it is very transient. Also it is likely to melt quicker in the absence of the shade provided by those trees. I think that albedo impact on climate is only appreciable for land based ice (e.g. at the poles), but I am no expert. Is there any research on the pros vs cons of this proposal? Oo..this makes me VERY nervous. One initial thought is that, where you have forests and snow, the snow is generally only there for a proportion of the year (Winter) and, in the absence of the shade provided by trees, would probably melt a lot more rapidly. I think that the albedo climate benefits of ice and snow are probably most relevant for more permanent land based ice (e.g. at the poles)…but I am no expert. Is there any research that weighs up the pros and cons? Hey Alex, interesting take on deforestation. Do you know if transpiration has any albedo effect of its own through increased cloud cover over forested areas?